All POWDER RUN homes currently listed for sale in Park City as of 04/19/2019 are shown below. You can change the search criteria at any time by pressing the 'Change Search' button below. 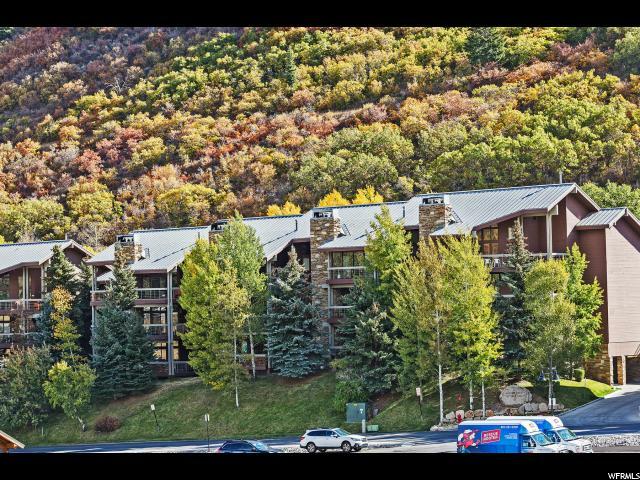 "THIS IDEALLY LOCATED LOWER DEER VALLEY RESORT POWDER RUN CONDO WAS UPDATED IN 2010 (ALL NEW HARDWOOD, TILE, CARPET, GRANITE COUNTER TOPS IN KITCHEN AND BATHROOMS, RECESSED LIGHTING AND UPDATED FIXTURES) AND FRESHLY REPAINTED IN SEPTEMBER 2018.BRIGHT AND LIGHT. GREAT ROOM HAS A WOOD BURNING FIREPLACE, BEDROOMS ARE LARGE INCLUDING A MASTER BEDROOM JACUZZI TUB AND DOUBLE VANITY. GUEST BEDROOM SUITE INCLUDES TWO QUEENS WITH PLENTY OF AMBIANCE. LOCATION, LOCATION, LOCATION. WALK TO DEER VALLEY LIFTS, SNOW PARK LODGE, AND DEER VALLEY SHUTTLE STOP AS WELL AS FREE PARK CITY TRANSIT BUS FOR QUICK ACCESS TO MAIN STREET AND DESIRED NEWPARK / KIMBALL JUNCTION LOCATIONS. ASKING PRICE INCLUDES ALL FURNISHINGS (ONLY 2 EXCLUDED ITEMS : FAMILY ROOM RUG AND FAMILY ROOM PAINTING). DESIRABLE ADDITIONAL FEATURES INCLUDE MUD ROOM, POWDER BATHROOM, STACKED WASHER/DRYER, DOUBLE WATER HEATERS, TWO OWNER'S CLOSETS, AND A LARGE PRIVATE STORAGE ROOM OUTSIDE THE UNIT."